One way to reach more of your potential customers is to go straight to them, which is why most companies depend on the use of stands/booths for their marketing activations, hoping to reach more, and create the type of engagement that will result in a positive customer experience. Two common problems of using such a solution is that it takes time to set up, and that it is fixed to one location, but when considering real marketing goals, such a solution will not help your brand in creating the correct type of brand engagement that leads to building great customer relationships or generating a “buzz” across social platforms. Meet “Helix”, the perfect solution for your marketing activations in Lebanon. Setup is now as easy as driving up to your location and sliding open the doors. Let’s say for example you’re deciding on a marketing activation in Beirut Souks or participating in a festival at another location across Lebanon. With Helix, your business is not restricted to one specific location and will be able to change places depending on your needs. You will not have to wait for customers to come to you anymore, now, you can go straight to them. The Ninety Degrees team has been working tirelessly for months to provide businesses in Lebanon the perfect solution for their marketing activations, but it isn’t only about mobility. Our team of designers focused on providing a product that is highly appealing, to ensure that businesses are successful in attracting customers and in building the right brand image. A product so appealing, that your customers will be spreading the word for you. 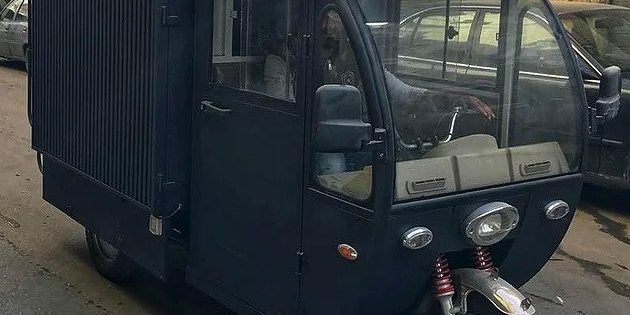 Our team of conceptual designers is ready to customize the perfect Tuk-Tuk to meet your brand needs, ensure the success of your marketing activation efforts. A marketing vehicle that will surely reduce your operational costs due to ease of mantling/dismantling, and enhance your brand image.